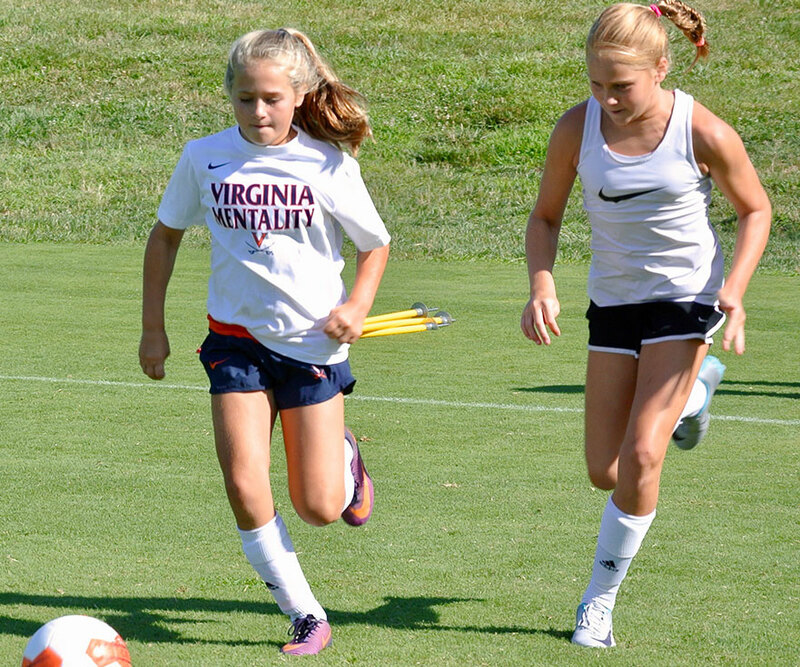 The Soccer Centers of Excellence are conducted by the Virginia women’s soccer staff as well as other exceptional coaches from across the country. 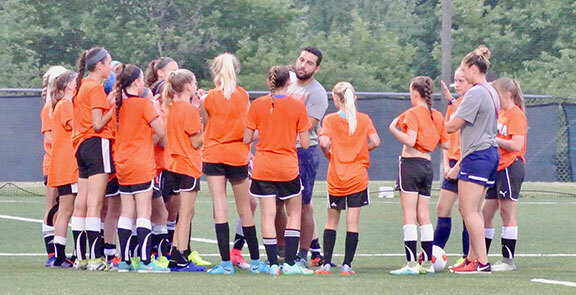 This experienced, elite staff strives to push players out of their comfort zones and to engage them in an educational environment, while also maintaining the strong belief that soccer should be fun! 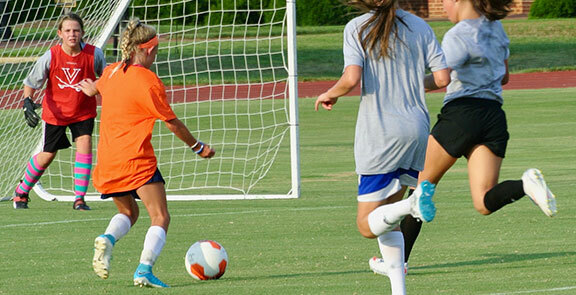 Soccer Centers of Excellence are open to any and all players—limited only by space, age, and grade level. Please note: Per NCAA rules, free/reduced admission is prohibited for prospect-aged individuals. During his 25+ years in competitive coaching, Steve Swanson has earned respect and renown at both the collegiate and the national levels. While working with the US women’s national team, Swanson headed the Under-20 World Cup champions and was an assistant with the full team who won the 2015 FIFA World Cup. 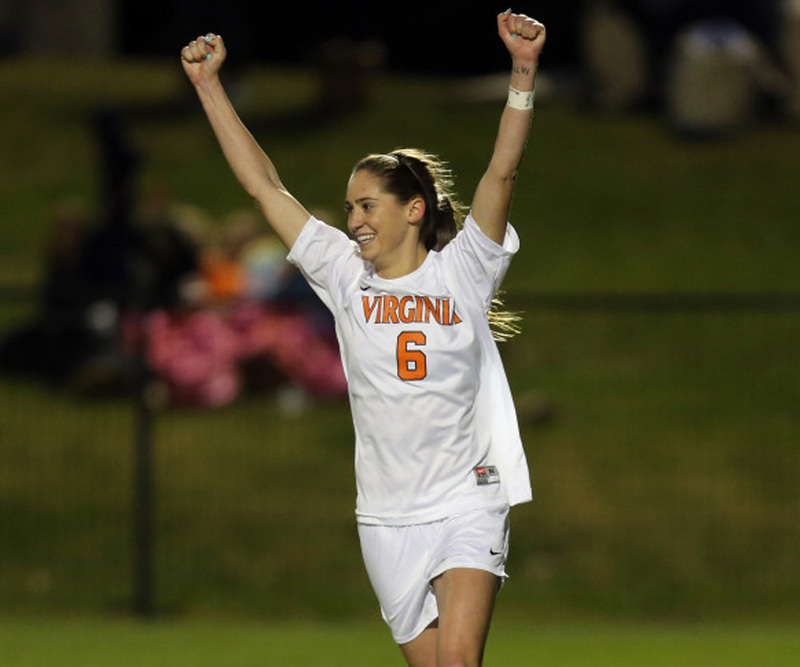 With the University of Virginia, Swanson has led the Hoos to two ACC Championships, 17 consecutive NCAA tournament appearances, and 17 consecutive winning seasons. 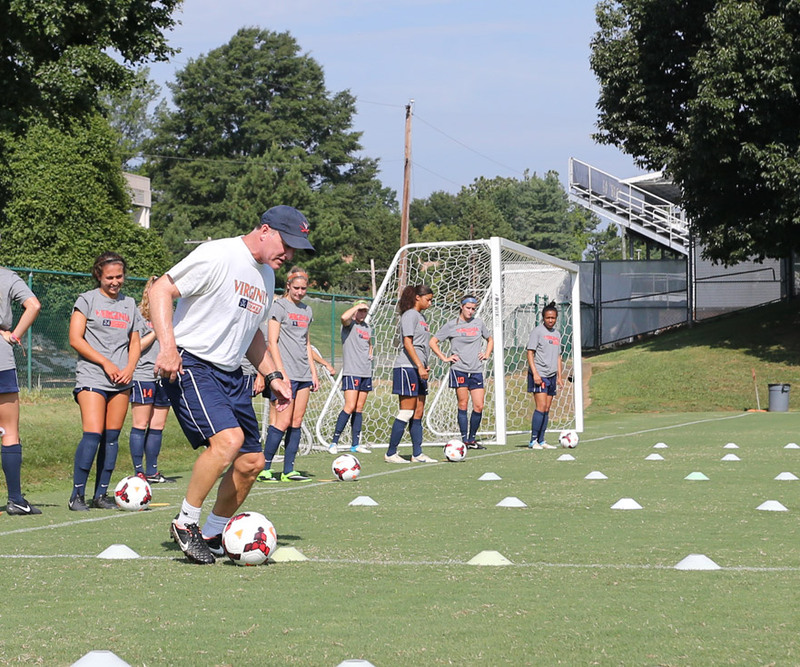 Swanson strives to educate his players and to teach the game. His knowledge of the technique and tactics combined with the team culture he consistently cultivates are defining features of his illustrious coaching career. Another fantastic experience for my daughter. The whole UVA team that supports this clinic is first class. 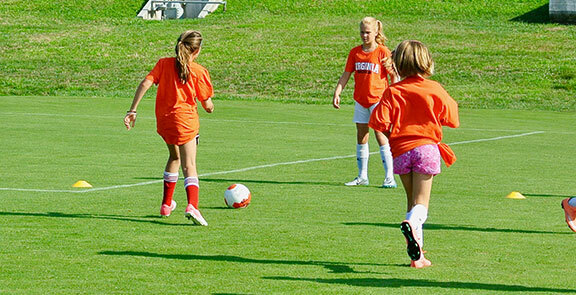 © Virginia Soccer Centers of Excellence. All rights reserved.